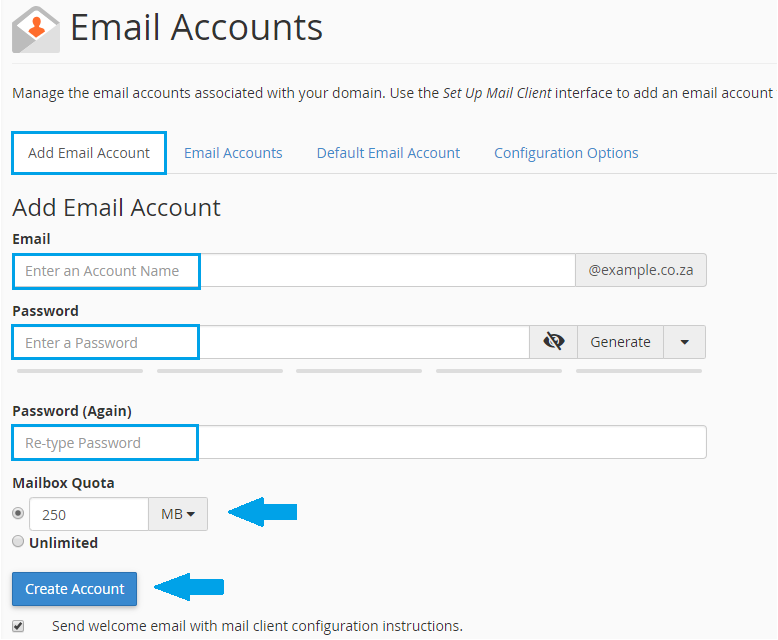 cPanel lets you create email addresses linked to the domains hosted on your account. First, log in to your cPanel account. Once logged in, you will see an option called “Email Accounts”. If you do not see this option then it is highly likely that you are logged into a domain parking package. Please login to the correct account or signup for a Hosting package if you don’t have one already. Complete the on-screen fields, and then click “Create Account”. Please ensure that your password is strong to avoid it from being compromised easily.